Forex Business Ltd is a modern British company, which is involved in progressive trading in the multicurrency market. The company is staffed by professional financial traders and market analysts who are studying all aspects the movement of price charts of the common used and popular currency pairs that are based on USD. Through in-depth market research, the company is engaged in attracting working capital in the United Kingdom and beyond. Among the company's clients are individuals and small financial companies, exchanges, corporation and banking institutions. Through the efforts of Forex Business, technical support has been developed software based on actual historical data intended for automated trading (Forex bots and Expert Advisors) which is currently used in test mode and allows the company to monitor the availability of profitable orders and select the most appropriate ones. Besides, such trading system has been designed to accelerate and automate all the processes of interaction with our investors. CompanyвЂ™s currency trading based on low-risk behavior strategy. The amount of 45 USD has been withdrawn from your account. Accounts: U1355114->U7301421. Memo: Shopping Cart Payment. Deposit to ForexBusiness.biz User ihyips.. Date: 07:19 18.11.18. Batch: 236376892. The amount of 1.12 USD has been deposited to your account. Accounts: U7301421->U1355114. Memo: API Payment. Withdraw to ihyips from ForexBusiness.biz.. Date: 10:01 19.11.18. Batch: 236503065. The amount of 1.25 USD has been deposited to your account. Accounts: U7301421->U1136717. Memo: API Payment. 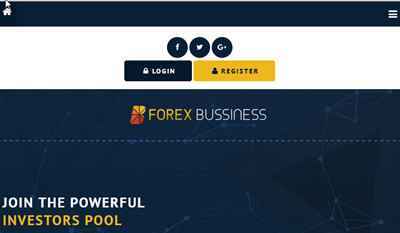 Withdraw to hyipsinfo from ForexBusiness.biz.. Date: 10:01 19.11.18. Batch: 236503058.